North London is usually associated with either Arsenal or Tottenham, you don't usually hear too much about golf. But things could well change in the future judging by the remarkable progress of two of the country's most talented young golfers from Edmonton. Brothers Thomas and John Fernandes have won many trophies but their father Agnelo has a more pressing concern - to see his two sons create golf history. Both the boys grandparents are from Goa, the former Portuguese colony in western India synonymous with palm trees, cashew nuts and hippies, rather than golf. English born and bred, the brothers have set themselves the challenge of becoming the first professionals with family ties to one of India's favourite holiday destination. Both brothers took up the game at young ages - Thomas was eight and John was three when they picked up their first golf club. Elder brother Thomas has played at every junior level for Middlesex and is already on course to fulfil his lifelong ambition. The 20-year-old is currently on a four-year golf scholarship at Bethany College in Kansas, balancing his time between the greens and text-books. 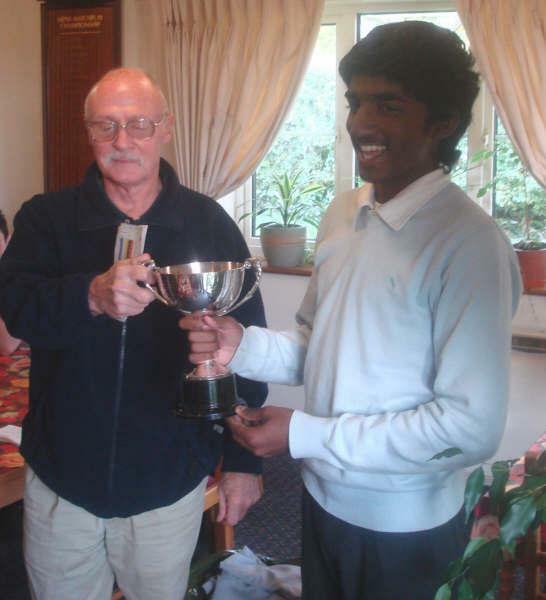 And after just two months in Kansas he helped his team to an inter-college tournament victory after securing his place in his first team trial. And younger brother John is hoping to follow in his big brother's footsteps. His maturity and dedication are startling - not what you would usually associate with a 15-year-old. "In golf you have to use everything, there are mental and physical aspects and every scenario can happen," said John. He practises his swing over 200 times a day indoors before heading into a professional golf cage in the back garden to practise some more. Both brothers have honed their skills in the cage while father Agnelo records their swings on a portable video camera. "As well as hitting balls I mentally put myself in different positions," he said. "Therefore in a match if a certain situation arises you feel like you have been there before and can handle it better." His application is already paying dividends. 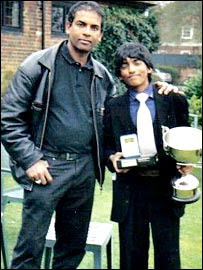 In 2005 John became the first junior golfer to win the Middlesex under-13 and 14s titles in the same year. And that success was followed by victory in the under-14s category at the prestigious Royal Birkdale Junior Open in 2006, an experience John will never forget. "I had been there to watch the The Open in 1998 and so to get to play at holes where players like my idol Tiger Woods have played was amazing," he said. Already playing off a handicap of five, John is determined to advance to the next phase of his golf stardom quest. "I want to win more competitions, get into the England squad and follow my brother on a scholarship to America," he said. John played in the recent World College-Bound Championship in Shingle Creek, Orlando, where, despite being the youngest competitor and sole English representative, he finished halfway in the field. More significantly he finished above the American national champion in his equivalent age group. Both brothers currently work with Bryan Nicholson, a Texas-based coach who also works with respected Australian instructor Gerry Hogan. And a website is also under development. However, despite the input of their coaches, John said that he and brother Thomas owe a enormous debt of gratitude to their parents. "At the beginning of each year our father sits down with us to mark out our objectives for the year ahead," said John. "Then after every training session he assesses what needs to be improved on." Agnelo also juggles the various roles of manager, chauffeur, sponsor and secretary for both boys, while mother Dores takes care of their nutrition and wardrobe. "I have been doing the various jobs for over 12 years but I don't care how much it pains me or the financial hardships, just to see my sons improve is an unbelievable experience," said Agnelo. 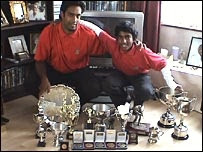 "If the boys achieve their dream of becoming the first British Goans to become professional golfers, then that is great. "But I couldn't feel any more proud of them than I already do. I know they have the God-given ability to go all the way to the top, but no matter what happens, I am just proud to see them go out and play."